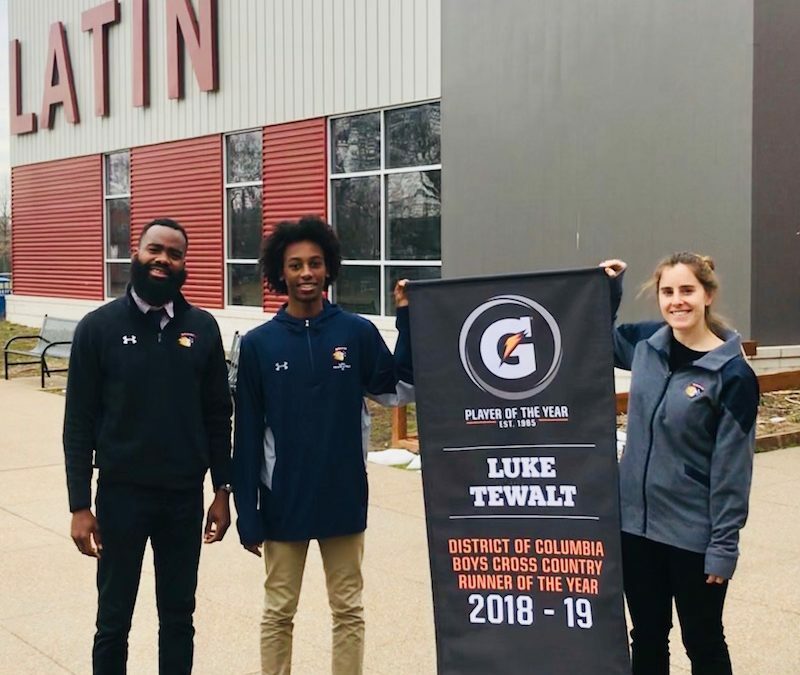 Junior Luke Tewalt was named the Gatorade District Of Columbia Boys Cross Country Runner of the Year and is now part of a 30+ year legacy that includes past winners such as Peyton Manning, Abby Wambach, Karl-Anthony Towns, Derek Jeter and many other sports icons! The program awards the nation’s most elite high school athletes for academic achievement and exemplary character. Through the Gatorade Play It Forward Initiative, Gatorade will donate $1,000 to a sports-based organization of Luke’s choosing.